In case you haven’t heard, a federal court in the Northern District of Texas issued a nationwide injunction enjoining the U.S. Department of Labor from enforcing their new persuader rules, which were supposed to be applied to agreements, arrangement and payments made on or after July 1, 2016. In a nutshell, the court concluded that the new rules were defective because they basically eliminated what is known as the “advice exemption” under the Labor-Management Reporting and Disclosure Act (“LMRDA”). The court also noted that the rules exceeded the DOL’s authority to revise statutory law, were arbitrary and capricious, constituted an abuse of discretion, were inconsistent with the attorney-client privilege, violated free speech and the First Amendment right to association, and violated the Regulatory Flexibility Act. This ruling is major victory for employers, but it is definitely not the end of the story for the new persuader rules. The DOL will surely be filing an appeal of the court’s order. 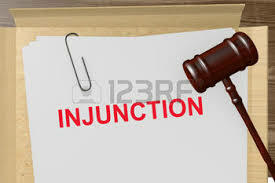 You can review a copy of the court’s order here: Texas Injunction. In a lawsuit in Minnesota, the court denied a similar motion for preliminary injunction, but also noted that the parties seeking to invalidate the rule “are likely to succeed in their claim that portions of the new rule conflict with the LMRDA.” Therefore, although the court declined to issue an injunction in the case, it did hint that the rule could eventually be overturned at a later court proceeding. You can review a copy of the Minnesota court’s order here: Minnesota Order. A third lawsuit, in Arkansas, is still pending.